The biggest game of the generation is upon us! Red Dead Redemption 2 will probably be taking up a ton of your time, with a massive open world to explore and plenty of people to meet out on the American frontier. But what will you do when the game is off? You’ll understandably want to stay in the world of late 1800s America, full of outlaws, gunfights, and the unpredictable wilds that are as dangerous as they are beautiful. Movies like The Hateful Eight give that brutal, lawless Western vibe, while TV series like Sons of Anarchy capture the brotherhood of a gang that lies just on the other side of the law. Of course, there are the full Westerns too, like Lonesome Dove and Godless, to really get you back into Red Dead Redemption 2’s world. 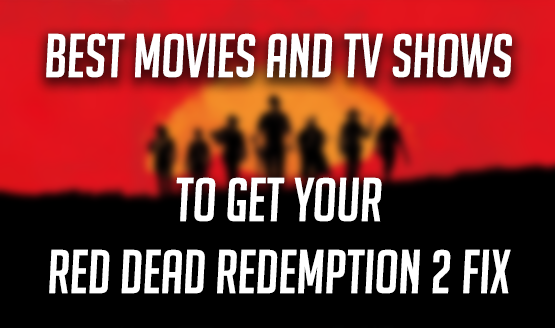 We’ve gathered together a list of great movies and TV shows that will help you get that Red Dead Redemption 2 fix, even when you’re not playing the game. Which movies and TV shows like Red Dead Redemption 2 would you recommend? We know there are plenty that didn’t hit our list, so feel free to add your own suggestions to the comments below. We may even continue to update our gallery with your favorites. Over 3000 people at Rockstar worked a lot of overtime on this one to get the feel just right. It has an expansive score of more than 190 tracks to get across any kind of emotion you may want to feel out on the American frontier. Better have your hard drive ready though. All of that detail comes at the cost of nearly 100 GB of space, quite probably the biggest game file size we’ve ever seen on the PS4.